Today’s scholarship as a whole tends to accept the above passage, minus the noted impossible parts, as more or less Josephus’ original statement. But “people who receive the truth with pleasure” is surely suspicious as well. Would Josephus have styled Jesus as a speaker of “truth”? And the claim that such a residual passage is “neutral” can hardly be accepted. For one thing, “startling deeds” in the above translation tries to ‘neutralize’ a phrase better rendered as “wonderful works” (paradoxōn ergōn). Indeed, Josephus uses paradoxos 20 times in Antiquities, and most refer to wonders or favorable events brought about by God. Writers of the time like Philo regularly use it in positive ways. Moreover, saying that his followers continued to love him after his death contains more than a hint of praise, as does the observation that “the tribe of the Christians” is still going strong. About the same time, another sad calamity put the Jews into disorder. But he has ignored important qualifications to this which undercut such a complacent judgment. First, if Josephus had written the paragraph on Jesus as a ‘digression’ from his main focus on the calamities of the time, he would likely not have worded that first sentence (see above) of the succeeding paragraph in the way that he has, looking back beyond the Testimonium as though ignoring it completely and leaving the reader wondering what was sad or calamitous about his Jesus account. Second, that succeeding sentence is itself followed by a digression (a scandal involving a con artist, calamitous only to the victim) which delays a recounting of that “another sad calamity.” However, in this case, Josephus announces that he is about to insert a digression, something he does not do for the Jesus paragraph. So the situation is hardly as innocuous as Ehrman presents it. As a counter to my argument that no Christian writer before Eusebius makes any reference at all to the Testimonium, Ehrman once again appeals to the “neutral” character of it, which would have given those writers no reason to quote from it. There is so much in that ‘neutral’ reconstructed account which Christians could have put a spin on in defense of themselves and Jesus, so much that could have provided succor, support and even ammunition for what those Christian apologists were attempting to do in their writing. This, too, is nonsense. If Josephus chose to write any passage about Jesus, he had to have known something about him. If he was willing to call him a wise man and label his teachings as “truth” he had to have some idea of what those teachings were about. How could Josephus not know? But in view of the Gospel traditions about Jesus’ teachings, which should have been circulating in Christian circles in Rome by the 90s of the first century when Josephus was writing, how can it be thought that somehow only the “good” teachings among them found their way to him? How would the overturning of the social order, the apocalyptic promises and the prophecy that the Temple would fall, the miracle traditions which included some resembling those essayed by other would-be messiahs, the promise of a new kingdom that would transform the world — how would these have been shielded from Josephus? 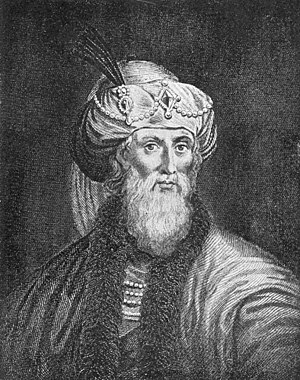 Moreover, how was he ignorant of the whole cultic view of Jesus in the first century that he was the divine Son of God, called “Lord” and redeemer of the world, views sure to offend the Jew Josephus and prejudice him against any man whose followers—and perhaps the man himself for all Josephus knew—had been guilty of such blasphemy? And he had been crucified by Pilate. Did Josephus dismiss any thought about why that had been done, or whether there had been any justification for it from the political point of view? Did he really think that Pilate would execute ‘a wise man’ simply on the word of Jewish citizens, whose own reasons Josephus failed to even state? Clearly, Ehrman has put no thought into this at all, much less attempted to deal with much of my 50-page treatment of Josephus. So much about this book is slipshod and superficial. Ehrman merely appeals to the names of a couple of scholars who have made a “critical scrutiny” of Olson’s case and found it wanting. He fails to give even a single example from such scholars of how Olson’s observations have been discredited — let alone his own arguments on the matter. He does not attempt to counter Olson’s point that Josephus consistently uses “poiētēs” to mean poet, and not “doer” (as in “doer of wonderful deeds”). Nor does he address Olson’s observation (supplemented in my book by Jay Raskin’s extensive study on this feature, which he calls a writer’s “Tell”) that the phrase “up until now” is used regularly by Eusebius to convey a positive marker: anything that survives or continues strongly “up until now, until our own time” enjoys proof of veracity, even divine favor. Nor is the precise phrase Eusebius uses (“Eis eti te nun”) found in Josephus, while phrases similar to it are never used in the same type of context as that final sentence of the Testimonium. There are other aspects to the question offered in my book which Ehrman ignores. 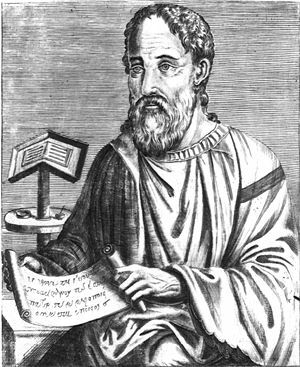 In an early work, Adversus Hieroclem, Eusebius is countering an unfavorable comparison between Jesus and Apollonius of Tyana. Yet here he does not draw on the Testimonium’s favorable designation of Jesus as a “wise man.” Had he not yet discovered this famous passage? In three later works he would call upon the Testimonium to support his arguments about Jesus, though one of these survives only in Syriac. Between the other two, there are a few differences in the Greek wording; the later one, in History of the Church, is the one invariably quoted in all discussions. I make the case that this is hardly a matter of quoting from faulty memory. The best explanation is that Eusebius ‘improved’ the text he had created between his composition of the two works. After giving this account of John, in the same part of the work he goes on to speak as follows of our Savior. This would place the two passages in reverse order to what they are now. Had Eusebius not yet decided where to place his Testimonium, whether in association with the Baptist or with Pilate? An unstable placement is usually a sign of interpolation (as in the case of the ‘Gospel’ passage in the Apology of Aristides). It is also more than a little suspicious that the Testimonium is handily available to bolster various arguments (whereas no Christian writer before him had so used it). 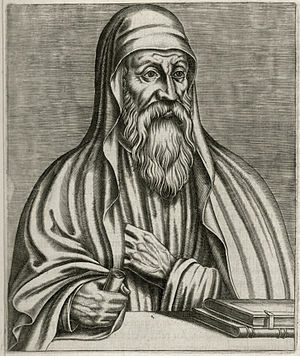 For example, in the Demonstratio III,5 Eusebius is arguing that if Jesus were a deceiver or charlatan, his followers would have abandoned him after his death; it seems quite a coincidence that Eusebius then produced a text in Josephus which records the very fact that Jesus’ followers remained faithful. In History of the Church, following his quotation of the passages on Jesus and John the Baptist, he summarizes that this Hebrew historian has left a record of both, by which “we can condemn the shameless dishonesty of those who forged the Memoranda” (a Roman forged ‘Acts of Pilate’ in Eusebius’ time which disparaged Jesus and John). Apparently, Eusebius found the Testimonium Flavianum a godsend. Considering that Eusebius himself declared in Praeparatio Evangelica, 13 that it was permissible for the good of the faith to use fiction/deception/lies (pseudos), and that the entire early Christian record is replete with forgeries, amendments and invented documents (Eusebius is generally suspected of having created his own bishop lists to fill in missing records, and he either created or made use of the outrageous correspondence between Jesus and Abgar of Edessa), the idea that he could have created a ‘pious fraud’ like the Testimonium to defend his faith is not at all far-fetched. This is not as telling as one might think. In the standard view, a Christian ‘touched up a bit’ an original passage by Josephus. Why didn’t that interpolator take the opportunity to create a more glowing passage about Jesus? One cancels out the other. 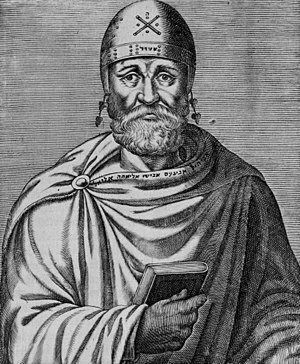 Perhaps a cooler head prevailed — particularly understandable if it was Eusebius’ head — and the Testimonium was kept to a reasonable length and not revealing an unrealistic knowledge or interest on Josephus’ part. Moreover, as an original, the authentic residue would be a much less detailed treatment of its subject than we find in the surrounding events, some of which are recounted at greater length. All this Ehrman ignored in dealing with this point, as he did with the observations that no insertion of the Testimonium is found in the Table of Contents and that in Jewish War, when Josephus deals with the same crises in Judea under Pilate as he was to do in Antiquities 18, there is no appearance of a passage about Jesus. If Josephus did not write “he was the Messiah” in the earlier passage, this would leave “called Christ” hanging in the wind, with no antecedent explanation for it, and hardly a suitable elucidation for the Roman reader of who his “James” was. It would also be the only appearance of the term in the entire work. Since many have judged that Josephus was reluctant to discuss on any level the whole subject of Jewish messianism (he doesn’t even use the term when declaring Vespasian as the fulfillment of ‘Jewish oracles’—a declaration, by the way, which would in itself explain why Origen says that Josephus did not believe in Jesus as the Messiah, even if he made no mention of him), that single appearance is suspicious. The phrase “called Christ” is also found in several places in the Gospels: Matthew 1:16, 27:17 and 22, John 4:25, as well as in Justin, suggesting a Christian nature. The passage makes sense if its “Jesus” refers to a different Jesus, probably the one specified a few lines later (“Jesus, son of Damneus”), making “brother of Jesus” original to the text. It is also unlikely that the murder of the Christian James the Just would so incense Jewish elders that they would agitate to have their own High Priest removed. Moreover, “James, together with some others” were said to be executed, suggesting that those others were Christians as well, yet there is no record anywhere of a pogrom against Christians at this time in Jerusalem by a bloodthirsty High Priest. Finally, in connection with the debate over Antiquities20, three passages in Origen are regularly appealed to as some kind of corroboration. In them, Origen says that Josephus attributes the fall of Jerusalem (70 CE) to God’s punishment on the Jews for the murder of James the Just, and in all three he attributes to Josephus the phrase “brother of Jesus, called Christ.” Such a “lost reference” cannot be found in the extant Josephan works, but if it existed, it cannot have been a part of Antiquities 20, not least because it would have conflicted with the rest of the latter’s context. At the same time, neither can it regarded as something Josephus would have believed, let alone written. But here is the crux of the present matter. Origen’s “lost reference” can in no way serve to witness to the presence of “brother of Jesus, called Christ” in Antiquities 20—quite the opposite. We cannot assume that the interpolator borrowed from the latter passage. In fact, Eusebius, as in the case of the Testimonium, is the first to witness to the Antiquities 20 reference to Christ. In History of the Church II, 23.20-21, he repeats Origen’s remarks about Josephus attributing the fall of Jerusalem to the murder of James, then immediately refers to ‘another account of the death of James’ by Josephus and quotes the Antiquities 20 passage on Ananus as we have it today. No one before him even alludes to it, not even Origen who, though mentioning James and the lost reference three times, is never drawn — as Eusebius was — to calling attention to a similar reference to James and Jesus in Antiquities 20. We are led to conclude that either Eusebius himself, or a previous interpolator post-Origen, inserted “brother of Jesus, called Christ” (or only the latter phrase) into Antiquities 20. And indeed, whoever was responsible, it may have been innocently done, perhaps as a marginal gloss, to clarify which James Josephus was thought to be referring to. None of this did Ehrman attempt to address. If Josephus’s Testimonium “is only marginally relevant to the question of whether Jesus existed,” Ehrman acknowledges that the references to Jesus in the Talmud are completely irrelevant. They appear centuries after Jesus lived, and are based on unreliable oral reports from earlier times (though none from the first century itself). Ehrman is a little woolly on exactly when certain persons in the Talmud, such as “Ben Panthera,” were first presented as “clear” references to Jesus of Nazareth. My own study, based largely on that of Frank Zindler in The Jesus the Jews Never Knew, has shown that there is no continuous chain of understanding going back earlier than the late Talmuds (4th to 6th centuries). “Ben Panthera” and “Ben Stada” originally referred to entirely different characters, and only later, in limited fashion and in reaction to Christian traditions, were recast on the assumption that they could have referred to Jesus. It is not clear from Ehrman’s writing whether he might actually agree with this. But he has certainly failed to see the logical implications. The Christians were playing the game with a highly organized playbook, and the Jews had not even fielded a team — probably because they were unable to remember that they had been notified about the game or what the rules were. Their own past was totally silent and dark on the subject. Far from being “irrelevant,” the Jewish Talmud actually provides evidence against the existence of an historical Jesus. Posted on 2012-04-27 01:00:37 GMT+0000 by Earl Doherty. This entry was posted in Biblical Studies, the James passage and tagged Bart Ehrman, Did Jesus Exist?, Earl Doherty, Testimonium Flavianum. Bookmark the permalink. As a side note, I’m never sure how the Testimonium Flavianum supports the idea that Jesus was an apocolyptic prophet as Ehrman and others argue. Josephus doesn’t allude to such a thing, and we know that Josephus had very unsavory things to say about such troublemakers. Oh, what’s that? Josephus purposely played down the escatological aspects of Jesus’ teaching? Really? And he also did the same for John the Baptist, who’s brief paragraph in Josephus also displays no mention of apocolypticism? Well, isn’t that conveinient. Someone made a very interesting observation in an e-mail question to Robert Price’s Bible Geek podcast a couple of days ago. If the sentence about “Christ” in the TF is omitted, as Ehrman and NT scholars like to do, then the last line about Christians being named after Jesus makes no logical sense. With the “pared down” version of the TF that NT scholars promote, you end up with the fairly absurd situation where the TF is saying that the followers of Jesus are called Christians because they’re named after Jesus. It doesn’t make sense. Robert Price was very surprised at this and said he had never thought of it before. It is actually an old argument. I deal with it briefly in my treatise on Josephus. The idea that the final line about Christians being named after Jesus requires and earlier mention of Christ has hardly gone unnoticed in scholars’ discussions of the Testimonium. John P . Meier rejects the criticism on the grounds that “it would be considered an insult to the knowledge an culture of the reader to spell out a connection that is rather taken for granted” (Marginal Jew V1 p. 61). Gerd Theissen and Annette Merz, on the other hand, find a difficulty for Meier’s reconstruction which omits the word Christ from the Testimonium, saying that “this is required both by Ant. 20.200 and the last sentence about the Christians being named after Jesus” (The Historical Jesus: A Comprehensive Guide, p. 69). So Meier thinks Jesus was so famous as the ‘Christ’ that Josephus didn’t even need to say the word Christ, as that would be insulting the intelligence of his readers, yet had to explain who Christians were named after? You have to laugh , don’t you? I tried not to laugh, but in the end I had to! Great point, Steven. Shown above is the Greek spelling of the name JESUS which amounts to the number 888. The Christian gnostics identified Jesus as the Logos and the Spiritual Sun; they taught that his number, 888, symbolized the perfection and harmony of the spiritual realm. Clement of Alexandria, an early church father, also referred to Jesus as the Spiritual Sun and explained how the power of the Logos tuned the disparate elements of creation into musical harmony. In view of his statements, it is interesting to observe first that 888 is mathematically related to the so-called “magic square of the sun”; secondly, in music tuning theory, with which Clement was well acquainted, .888 is the ratio (logos) of the whole tone, the mediating bond between the two tetrachords of the octave. Consistent with these facts, Clement referred to the then recent manifestation of Christianity as “the New Song” of the eternal Logos: a new spiritual expression of the pre-existing pattern of harmony on which all of creation is based. 888 is also connected to the Greek alphabet, because the letters are divided into three groups of 8 (numerically, 8 “ones,” 8 “tens,” and 8 “hundreds”). Thus, 888 is symbolic of the Word (Logos). Jesus is the Alpha and Omega (numerical sum = 801), symbolized by the dove that decends upon him at his baptism (numerical sum of the Greek word for DOVE = 801). It was a common practice in Greek mysticism to craft the name of a deity to have mathematical significance. For example, the solar deities Abraxas and Mithras both had names that added up to 365, the number of days in a year. This was also done with magical “words of power,” nonsense words that added up to mystically significant numbers. Compare with the Christian teaching that Jesus is “the name above every name” which can be used as a power-word for exorcism and (supposedly) magical alteration of reality (“In the name of Jesus…”). So, if “Jesus” is spelled differently when referring to Jesus Christ than when it refers to ordinary men named “Jesus,” it could be evidence that the name was purposefully crafted for gematria symbolism rather than being the name of a man. Otherwise, “Jesus” is a common enough name that its numerical sum of 888 could be just a lucky coincidence for Christians and Gnostics of a Pythagorean bent. I do not know if David Fideler is a Real, True Scholar or not. His CV indicates that he does hold a Ph.D. and is a professor, so that would imply that he meets even Ehrman’s standards. I’m also interested in other responses to this question. I have never known what to make of David Fideler’s book. I guess I could always email him to find out more of where he is coming from. Kevin, If you are following your posts, #6 was meant to reply to you. Sorry, I can’t find the comment you’re referring to sahansdal. #6 on this thread is showing as a comment by MetricSU about Ehrman vs. Doherty on the TF. I’m not sure if the internet ate your comment, or WordPress put it somewhere else. If it’s not too long, could you please re-post it, or otherwise point me to it? Thanks. Shansdal, your comment does not appear on my screen: http://i3.photobucket.com/albums/y65/ptgalt/VridarCap.png . You can see it on yours? Because I have read Earl Doherty’s books fairly closely — although I am just a lay person, with a Ph.D. in an unrelated field — I saw immediately 80% of Ehrman’s mistakes/omissions in his discussion of the TF. I posted my complaints in his Facebook page, including the simple observation that if an original TF made no mention of Jesus as the Christ then the supposed brief mention of Jesus in Antiquities 20 makes no sense (because Josephus’ readers would have no idea what “Christ” referred to). Ehrman never responded to any of my points/questions. The only time he responded to me was when I asked why DJE? had no index, and when I questioned whether he is truly has no stake in where there was an historical Jesus. I have asked Bart Ehrman a number of questions by both email and on his CIA Blog page, too. He has answered promptly my questions relating to whether or not he read the books he reviewed. But he has never replied to my requests for a comment or explanation on what I thought to be factual errors in his descriptions of Doherty’s book and mythicist arguments generally. Two of the questions I asked are still waiting in his moderation queue even though several others comments have since passed that queue and gone live. I will post my questions as public queries if he deletes them or fails to address them at all. Thanks Neil. I’m new on this site, but I have very much enjoyed reading your posts. I’m not sure I need another distraction, but this is a good one. Hey, MetricSU. Long time, no debating fundamentalists on Amazon book reviews. I see that you’ve found this website recently, too. Well, well, after a long wait my comments finally appeared on Ehrman’s Public Forum page, but not before many others had been posted, so that when my comments to appear they are nested somewhere in the middle of a long chain, easily avoided. But I have posted another since. One that pointed out that Ehrman’s erroneous quotations and claims to have read and cited mythicist works are not restricted to Doherty’s work. As I point out in my Facts of the Matter, Carrier 9, Ehrman 1 post, he cites pages in Wells that he could not possibly have read — those pages have Wells saying quite the opposite of what Ehrman says he argues. and when I questioned whether he is truly has no stake in where there was an historical Jesus. sahansdal: He basically used the “appeal to reputation.” Something along the lines that I must not know his reputation as a scholar, and anyone who does know him would never imply that he can’t be impartial about the issue. The lack of an index for the book drives me nuts. He responded that the book was originally only supposed to be an e-book and so he did not do an index. I just think it is another indicator of shoddy scholarship and how he was rushing to put something out. He knew darn well that the book would sell well no matter what: people like me (atheist who leans toward mythicism) all the way to fundamentalist Christians (who want people like Erhman acknowledging an historical figure — and they’ll take it from there) would buy it. That’s my take, also. I gave him a scathing review on Amazon, one star, admitting I wouldn’t even buy the thing to review it, because the Publisher’s excerpts showed how poor the attempt was. I caught lots of flak for it, of course, admitting I never read it, but I know his work well, and I know when he is just trying to cash in without making a contribution. His “The Orthodox Corruption of Scripture” is, in my opinion, one of the great books in showing the bankruptcy of orthodox Christian teaching. Eisenman’s work is the other. In comments on that thread I raised the following points about Origen, which amplify Earl’s comments here. Josephus was a Jewish general in Galilee in the decades after Jesus supposedly lived there. How come no mention of Galilee in the TF, when Jesus was supposedly the most famous Galilean? Origen discussed Chapter 18 of Josephus’s Antiquities of the Jews at length in his book Contra Celsus, a book dedicated to proving the historical existence of Jesus Christ. But Origen somehow completely failed to notice the TF??? Not possible. What happened is that Eusebius came along a hundred years later and read Origen on Josephus and had a brain explosion – ‘not possible that Josephus did not mention Jesus – does not compute’. So Eusebius, the father of pious fraud, added Jesus Christ into the Antiquities of the Jews. If “Josephus bears witness to John”, it is hardly credible that Origen, whose apologetic purpose in this book was to critique pagan attacks on Christianity, and defend the argument that there exists solid evidence and proof for Christ, would have failed to mention, in text laden with devotion, that Josephus also bears witness to Christ, if Josephus had in fact done so within this very same Chapter of AJ. Instead, Origen emphasizes that Josephus says the calamity of the Jews was due to the death of James the Just, whom Origen says was a brother of Christ in ‘virtue and doctrine’, not in blood. Origen does not make clear if this sibling relation was alleged by Josephus, but he does make clear that Paul did not regard this James as a physical brother of Jesus Christ, cutting out another major pillar of Christ literalism. And then Origen expands on how the story of Jesus is in ‘accordance with reason’, without, despite all his comments about evidence and proof for Jesus, taking this prime opportunity to note that an early historian, living close to the time of Christ, had actually mentioned Christ in the same passage that he is discussing. The supposed “evidence” for Jesus evaporates before your eyes. It seems to me quite plausible that Eusebius’ interpolation of the Testimonium Flavianum owed not a little to the need to explain this strange passage in Origen. Origen, despite later being excluded as a heretic, was one of the greatest of early Church fathers, precisely because of his deep knowledge of and faith in the Gospels. Living two centuries after the purported events, Origen accepts the Gospels on face value. In Contra Celsum, we see that Origen makes use of Celsus as a pagan who also had passing knowledge of the Gospels, which are taken as the primary source of evidence. Of course the Gospels are not primary evidence, and Origen sees that external commentary from Josephus gives weight to the ‘witness to John’. Yet he does not notice that Josephus also gives witness to Christ in the same chapter. This yawning gap in the Contra Celsum must have been a source of great embarrassment to Christians. Pagan readers of Origen could well have asked – If Josephus bears witness to John, why does he not bear witness to Jesus? The easiest way to deal with this devastating question was to alter Josephus by adding in the mention of Jesus at the appropriate point, where Josephus speaks of bearing witness to John. Origen goes on to criticise Greeks who wish us “to believe them without any reasonable grounds, and to discredit the Gospel accounts even after the clearest evidence. For we assert that the whole habitable world contains evidence of the works of Jesus”. He says if a critic “demands of us our reasons for such a belief, let him first give grounds for his own unsupported assertions, and then we shall show that this view of ours is the correct one.” Here again is perfect opportunity passed up to say that Josephus gives evidence for Christ. Key questions raised by Celsus are quoted by Origen as including “What credible witness beheld this appearance? What proof is there of it, save your own assertion, and the statement of another of those individuals who have been punished along with you?” In response, Origen says Josephus bore witness to John, but omits to say Josephus bore witness to Jesus, which would be a far more pertinent and logical rejoinder if it were true. Origen speaks of “a manifest proof that these things are done by His power”, ignoring the supposedly manifest evidence that a credible independent historian mentioned Him. Excellent stuff, Robert! Thanks so much for contributing. I may have to cite you in my Josephus monograph about those Origen observations. You make a great point. Origen is writing a book significantly designed to prove Christ’s existence, and he’s got Book 18 in front of him, citing the various biblical characters Josephus supposedly addresses, yet he utterly fails to comment on the TF! That’s another great argument rebutting Whealey’s suggestion that Origen knew the TF, without the sentence “He was the Christ.” I ask again, at that point why would Origen not actually state that Josephus discussed Jesus? Origen had the very book – 18 – in front of him. He has proved that he read it, yet he does not mention the TF. The TF is in the third chapter of book 18, close to the beginning of the book, so Origen would not have even needed to read far into it to find it. Why allude to the TF – which DOES have Josephus saying Jesus was the Christ – by saying that Josephus didn’t believe Jesus was the Christ? Very unconvincing. Thanks Acharya, you are very welcome. This material helps explain how and why the TF was later added. “How should it not be more in accordance with reason” indeed. Origen is asking here why Josephus did not mention Christ in AJ 18. If Josephus actually talks at length about Christ on the very page that Origen is reading, but Origen fails to notice, and in fact asks why Christ is not mentioned there, the authenticity of the TF completely fails any reasonable test. Wow. Amazing stuff, Robert. No chance Josephus wrote TF. James was much better known in his time than Jesus (Robert Eisenman). Eisenman would say the comment “brother of Jesus” would be suspect the same way the James ossuary was. Instead, Origen emphasizes that Josephus says the calamity of the Jews was due to the death of James the Just, whom Origen says was a brother of Christ in ‘virtue and doctrine’, not in blood. Origen does not make clear if this sibling relation was alleged by Josephus, but he does make clear that Paul did not regard this James as a physical brother of Jesus Christ, cutting out another major pillar of Christ literalism. On the other hand, since Origen and the proto-orthodox Christians of his time were trying to promulgate the doctrine of the perpetual virginity of Mary, mainstream scholars could point to this as an effort to explain away a tradition of Jesus’ sibling relationship to James. he existed –I think ‘he’ might have been James) were such Masters, as were a host of other biblical players, or stand-ins. How about we rename ‘Testimonium Flavianum’ to ‘Testimonium Fakium’ ? Anybody? Anybody? “was the Christ” but “was believed to be the Christ”. This agrees with Jerome’s copy & the Arabic version translated by Dr. Pines. Also Dr. Goldberg at Josephus dot org shows that Josephus, as he did with much of his subjects, simply used a “source” document for his information about Jesus being executed by Pilate that was also used by the author of the gospel of Luke. And there is NO proof Eusebius ever FORGED A DAMN THING!! That is but speculation. Also the charge against Eusebius that he claimed it is find to lie in direct opposition to the New Testament’s commandments of Jesus, about Jesus, also falls flat. That charge against Eusebius is but “hearsay” well after his lifetime. And there also is NO proof the Origen ever had a copy of Josephus. Hell the damn man also quotes Josephus when it was ANOTHER historian. Dr. Whealey suspects that Origen did NOT have a copy of Josephus but used a book by another author who quotes Josephus and one of THAT author’s Josephus quotes was mistaken. And don’t give me this crap like Ken Humphreys did that Tacitus also is a forgery. Ken Humphreys is an idiot & a fool & his website is an embarrassment to the Jesus myth movement!! As Dr. Richard Carrier knows as his Ph. D is in ancient history!! Tacitus IS correct! Pilate was governor, perfect AND procurator. Two additional historian have provided me the dope on Tacitus via private Email. Tacitus simply used ONE of Pilate’s titles “procurator” which was the title Tacitus’ readers in 110 CE would have known best. The problems with the historical Jesus debate is the Jesus myth crowd has nothing but a way to “spin” what evidence that does exist with NO real proof to rule out Jesus from the stage of history!! Can any body in the Jesus myth camp ACTUALLY PROVE JESUS NEVER EXISTED?? Hell NO!!. Case in point. I just read a myth supporter on a blog saying that Justin Martyr never quoted the “TF” because in 150CE the passage had yet to be “forged”! What crap!! There is NO proof in Justin’s genuine letters that Justin Martyr EVER READ OR HEARD OF JOSEPHUS!!! In the other camp which includes almost ALL Ph.D & masters level scholars & experts who are not Christian such as Louis Feldman, Alice Whealey, John Dominic Crossan, Bart Ehrman, Burton L. Mack, James Edwards, Robert Miller & dozens & dozens more, they don’t have a KNOCK OUT PUNCH!! But be that as it may, the facts are the facts!! As we stand today, an honest reading of ALL the facts shows it is most likely that Jesus of Nazareth DID exist & was executed by Pilate!! That may be wrong & Pilate may not have existed either. Nothing much is known about Pilate such as when was he born, where was he buried, where are his writings & decrees? Until the Pilate stone was found in 1961 (a rock with a dedication to Pilate) a several noted historians doubted he existed! A few still do. Metric SU: I remember reading that Bob Price found out that Ehrman is NOT impressed with the Jesus myth authors so much so that he only considers TWO to be worth a hoot! Bob Price & Richard Carrier. Why? Because both have a Ph.D. Well Richard Carrier told me that other than Price, he and Earl Doherty are the only ones worth reading. The rest he said are garbage. Carrier is not fond of Acharya S & finds the two authors of “The Jesus Mysteries” to be awful!! For years Ehrman was not even aware that there were authors writing that Jesus never existed. All the Ph.D level scholars, historians & experts Ehrman would meet & work with & write to & received letters from in the United States & Europe were like him. They all taught the subject at the University level, wrote papers, researched ancient Christian writings including the New Testament and they all never questioned that Jesus existed. Many including Ehrman would question or reject his divinity, virgin birth etc but NOT that he lived as a man and was executed by Pilate. Price wrote he found out Ehrman is so bored with the thought of reading and dreaded reading something written by a NON Ph.D or someone with one who doubted Jesus existed that he got his graduate students to read the books by Price, Carrier, Doherty, Acharya S etc last summer & they told him what they said. 95% of New Testament scholars are believing Christians. So of course they will maintain that Joshua Messiah is historical. They really don’t have any choice in the matter. Also, New Testament scholars are not historians. They don’t have history degrees. They have literature degrees from theological seminaries. I had the same impression of Acharya S’s “The Christ Conspiracy” and Freke and Gandy’s “The Jesus Mysteries” as Carrier does (although Price says that Acharya’s latest stuff is much better). In his latest book, Carrier talks about how such authors are untrustworthy, so that one has to track down the primary sources for their claims to verify whether they are accurately characterizing them. Ironically, from my own experience with Carrier, I have to put him in the same category – I can’t rely on him as the source for anything, unless I can verify it directly myself. The Jesus Blog (blog of Anthony Le Donne and Chris Keith at http://tinyurl.com/msbzsr2) has a worthwhile guest post by Ken Olson on the Testimonium Flavianum. Look under date 13 August 2013.